Some people don’t like the mess of making their own easter eggs and that’s ok. For the Pokemon fans that felt left out in our last post, we have found a less messy way for you to celebrate Easter. These Easter eggs are made entirely of plastic and come pre-colored for easy display. On top of that, they come stuffed with Pokemon Figures inside. If you’ve been looking for a great way to have an Easter Egg hunt then these will make your day. The eggs come in packs of 24 for only $9.99 and can easily make a child (or Adults day.) For extra fun, you could even mix in other types of Easter Eggs with just candy in them or have a competition to see who finds the most Poke Eggs. These are also a great addition for any Easter Basket! 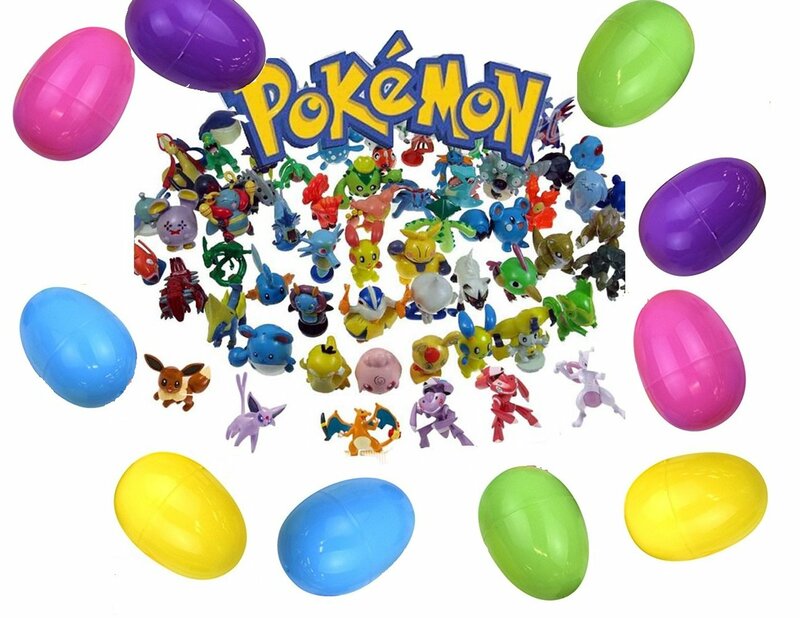 If you want to bring Pokemon to your Easter Egg Hunt click here to have them shipped from Amazon now! Next Next post: Pokemon Go Water Festival!